The artist executed my vision perfectly and was wonderful to work with! Thank you so much! 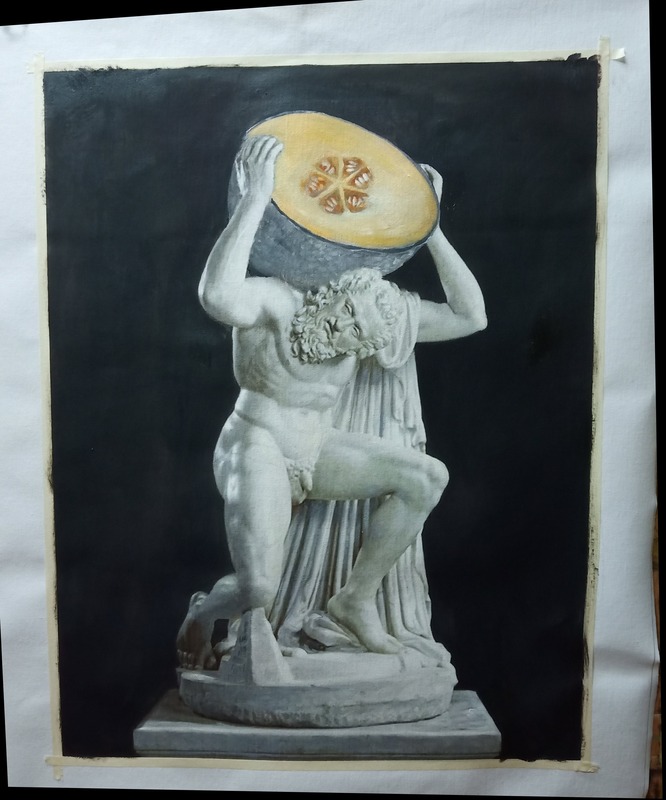 I'd like a painting of this sculpture, but instead of the world, I'd like to replace it with a cantaloupe (the fruit). It would be great if the fruit was cut open to see the orange inside.